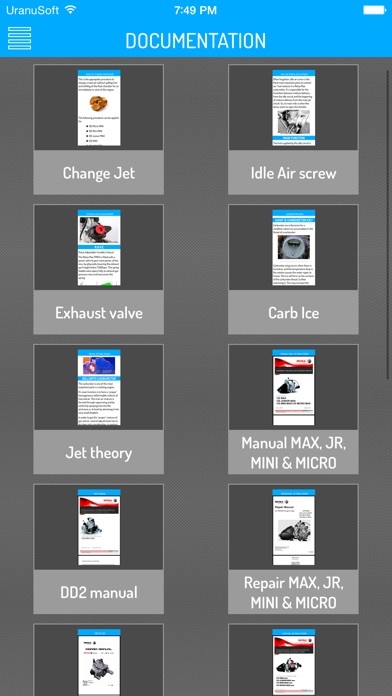 Nº1 jetting App for all Rotax MAX engines (EVO included). 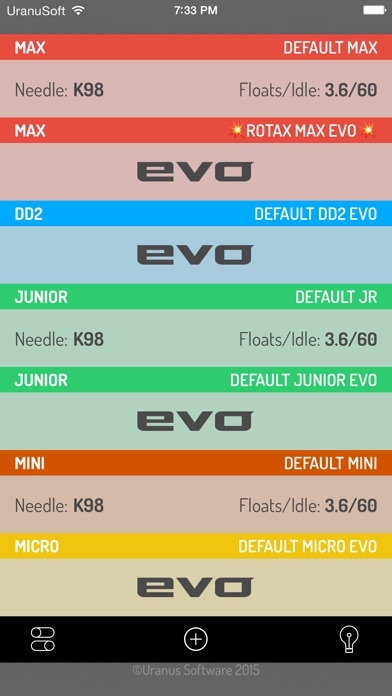 Jet, needle clip and spark plug type for EVO and non EVO Senior, DD2, Junior, Mini and Micro Rotax MAX karting engines. KartMAX PRO EVO is a must for teams, professionals, engine tuners and club racers. Thousands of users all over the world are using our software. The purpose of this tool is to recommend jet, needle clip position and spark plug reference, taking in consideration the weather conditions on the racetrack for different engine/carburetor configurations. 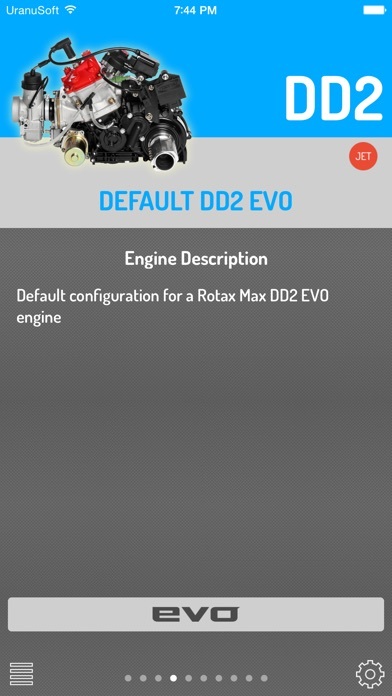 Covers: DD2, Senior, Junior, Mini and Micro MAX EVO and non EVO engines with MaxChallenge setup and other configurations, taking into consideration even the smallest detail: • Keep as many engine configurations as you want • EVO and non EVO engines • Selectable K98 or K27 needle for non EVO, K57 for EVO • 3.6 or 5.2 floats weight for non EVO, 4gr for EVO • Idle jet and idle emulsion tube (for non EVO) • Selectable needle valve for non EVO DD2 • Selectable intake restrictor and carburetor spacer for micro and mini classes (for non EVO) • Adjustable floats height (for non EVO) • Independent delta adjustment for main jet and needle pin. 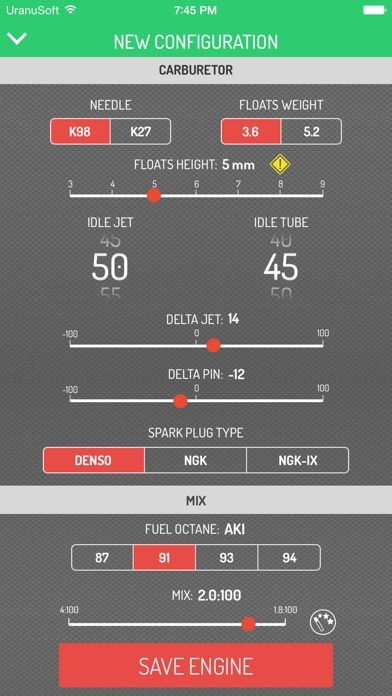 Particular engine calibration • Support for Denso, NGK & NGK-IX spark plugs • Selectable fuel octane • Adjustable fuel/oil ratio • Mix wizard to get the perfect mix ratio • Carburetor ice warning • Fine tuning • Supports international configuration • Possibility of use automatic weather data or a portable weather station. 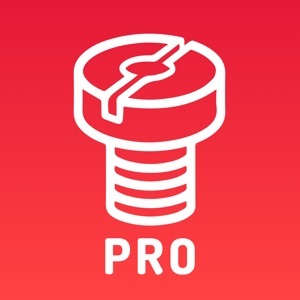 • Documentation, howtos, video and tutorials KartMAX PRO EVO can obtain automatically the position and altitude to get the temperature, pressure and humidity from the nearest weather station thought internet. 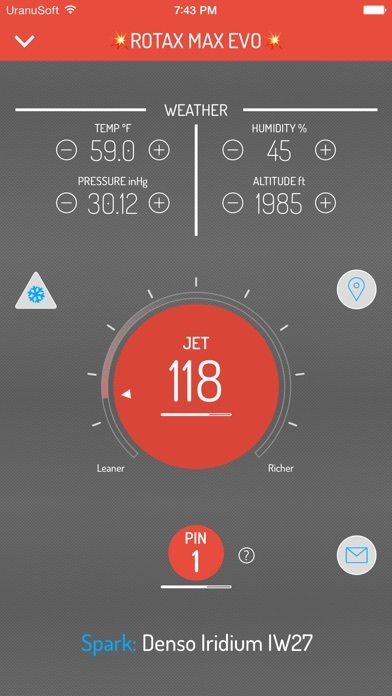 Internal barometer is used on supported devices for better precision. If more accuracy is needed, a portable weather station can also be used. If you are wondering if this App works, we can only say that thousands of drivers all over the world are using our software every weekend at national and international championships. But, may be, most of them prefer to keep it in secret ;) If you have any doubt about using this App, please, contact us. We answer every question, and we take care of all comments from our users to try to improve our software. We are also users of KartMAX PRO EVO.